When we hear about lymphoma, we don't typically think about the eye. However, lymphoma of the conjunctiva, the clear outer tissue that covers the white part of the eye known as the sclera, is more common than you might think. Lymphoma is a type of cancer of the blood that arises from our lymphatic system or lymph nodes. Lymphoid tissue is present all over the body. The lymph system produces immune cells and is connected throughout the body by channels and conduits. These channels drain into regional lymph nodes that are found primarily in the neck, armpits, groin, and abdomen. They function to drain the fluid from the body and return it to the vascular system. Lymphoma is an abnormal growth of lymphoid tissue. There are two main types of lymphoma, Hodgkin's lymphoma and non-Hodgkin's lymphoma (NHL). Lymphoma involves a type of white blood cells called lymphocytes. Doctors do not understand what causes lymphoma. Lymphoma tends to be more common in Caucasian people. In lymphoma, the lymph nodes can swell and push on organs in the body. Lymphoma can also cause lymphocytic tumors. 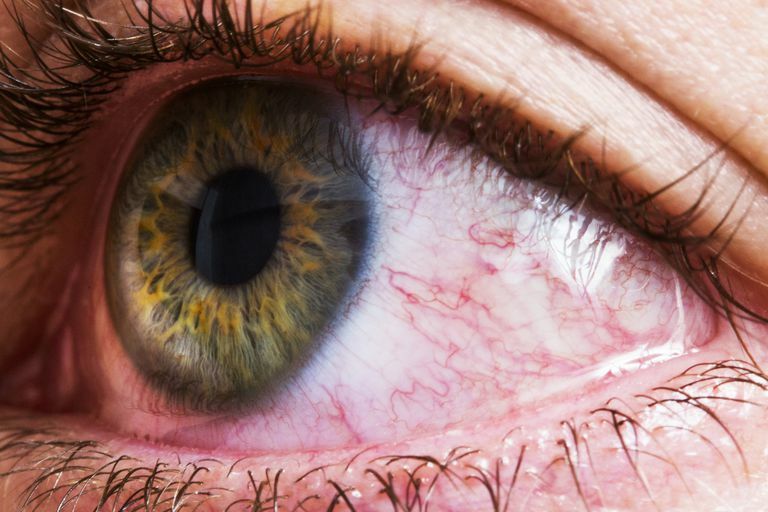 Conjunctival lymphomas usually grow very quickly on the surface of the eye and are fleshy, pink masses that are often referred to as “salmon-patch” lesions. Sometimes they can easily be seen on the white part of the eye but most often they grow under the eyelid and toward the cornea, the clear dome-like structure on the front part of the eye. Conjunctival lymphomas are found more in women than in men and seem to occur between 50 and 70 years of age. Basal cell carcinoma, sebaceous cell carcinoma, and malignant melanoma are more common cancers that affect the eyelid and skin around the eye. However, lymphoma is the most common cancer found on the eye itself. Lymphoma is found on the conjunctiva about 40% of the time. Conjunctival lymphoma can be considered primary lymphoma, which means the lymphoma is localized on the eye and found nowhere else in the body. On the other hand, it can also be considered secondary lymphoma, or a condition that is coming from systemic lymphoma from elsewhere in the body. Patients often visit the doctor complaining of redness of the eye, dryness, or irritation. They notice a discoloration of their normal white eye. Conjunctival lymphomas can grow large enough to displace the eyeball itself and may cause a restriction of eye movement and double vision. If the tumor grows behind the eye, the eye may seem to be enlarged or pushed forward. Although rare, a lymphoma can grow large enough to compress the optic nerve and cause loss of vision. Also rarely, lymphomas that develop inside the eye can cause a tremendous amount of inflammation and optic neuropathy. Conjunctival lymphomas can often be treated successfully. What is most important is for doctors to classify and stage the lymphoma. Although the classification can be complex and is beyond the scope of this article, most conjunctival lymphomas are classified into the non-Hodgkin’s variety. The non-Hodgkin’s variety can also be broken down into the MALT lymphomas (mucosa-associated-lymphoid-tissue) and non-MALT lymphomas. MALT lymphomas are more common and follow a less invasive course whereas the non-MALT lymphomas can be malignant and invade into tissue. These classifications are done by tissue biopsy and cytometry studies. Your doctor will complete a medical evaluation to find out if lymphoma is present elsewhere in your body. Much of this testing is conducted by an oncologist. When lymphomas are present on the eye and nowhere else, they are treated with EBRT-external beam radiation therapy. An eye doctor will follow a patient undergoing ocular radiation closely because of known side effects such as severe dry eye, cataract development, ischemic optic neuropathy, optic atrophy and neovascular glaucoma. Occasionally, a simple excision (surgically removing the lesion) may be done with careful observation. Conjunctival Lymphoma, Sowka, J., Gurwood, A., Kabat, A., p 21A-22A. The Handbook of Ocular Disease Management, a supplement to Review of Optometry, 15 June 2015. What is the human cystalline lens?